Delhi is one of the largest cities in the world and is popular amongst visitors for providing them with all kinds of tourists attractions and modern amenities. Even though it is mostly frequented by domestic as well as foreign travellers on account of its historical sites, it is still a perfect place for nature lovers, photographers and weekend travellers too. From forts to palaces, religious sites to gardens and lakes to architectural wonders, it houses thousands of spots which have been alluring tourists from all over the world for decades. Therefore, Delhi is one of the most visited places in India. Today, we are taking you to the beautiful places in this capital city where you can go boating and enjoy your weekends away from the city rush. 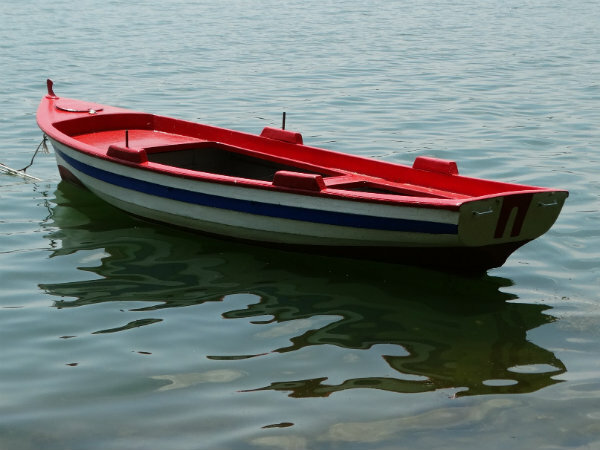 Following are the places for boating in Delhi that are perfect for weekend outings. Read on to know more about their location, entry fee and pristine surroundings. Boat Club is, assuredly, one of the most popular boating venues in Delhi as it is one of the oldest places in the city which have been visited by weekend travellers and local tourists. It is located at India Gate, one of the most recognised buildings in India, and is open on all seven days. The entry fee per person for a 15-minute ride is INR 50 and for a 30-minute ride is INR 100. As the region of Boat Club is surrounded by beautiful gardens and water fountains, it is also an ideal weekend spot for photography. As of now, there are around 40 paddle as well as rowing boats. So, if you are looking for a place where you can spend a relaxing time with your family and kids, then this boating venue will certainly interest you. Located at a distance of about 19 km from the city centre in Model Town Phase 1, Naini Lake is one of the few boating places in India where you can experience the beauty of a shikara ride. Shikaras are generally long wooden boats which are primarily found in the Dal Lake of Jammu & Kashmir. Wouldn't you love to relish this beautiful ride as you paddle through soothing waters while getting lost in a cool breeze? It is a perfect place to get your offspring engaged in the melody of nature. For a shikara ride, the entry fee is INR 120 per person, while for a paddle boat, you just need to give INR 50 per person. So, how about a tour of Naini Lake this weekend and savouring its quaint atmosphere? Even though Damdama Lake is located at a distance of about 60 km from the city centre in the Gurgaon district of Haryana, it falls under National Capital Region and therefore, it is mostly frequented by Delhites over the weekends. Surrounded by lush green vegetation and blessed with a charming atmosphere, Damdama Lake is one of the most visited lakes in the region. Apart from enjoying boating in its relaxing water, you can also go photographing the captivating beauty of several indigenous and migratory birds, which live around the lake. As it is located at the base of the Aravalli Hills, it provides its visitors with a picturesque scenery. If you are looking forward to spending your weekends away from the boundaries of Delhi in a tranquil environment, then Damdama Lake is the place you should visit. Another beautiful lake where you can go boating, Bhalswa Lake is located in the Jahangirpura locality of Delhi at a distance of about 12 km from the city centre and is one of the few city lakes which provide its visitors with water sports activities like kayaking and canoeing, apart from normal boat rides. If you love water adventure sports, then you can also enjoy riding hovercrafts and water scooters. The region in and around the lake also hosts several beautiful species of birds, such as storks and cranes. Do you know this mesmerising lake is in the shape of a horseshoe? Get yourself to this wondrous beauty and calm your mind, body and soul this weekend. A perfect place where you can choose to retire on your weekends, Sanjay Lake is located in the Trilokpuri region of Delhi in the midst of a beautiful forest and is an artificial lake which was opened to the public in the year 1982. As the lake is surrounded by rich vegetation and beautiful grasslands, it has become a popular picnic spot amongst locals over a period of time. The region in and around the lake also attracts several wildlife photographers and bird-watchers on account of the presence of about 100 species of birds. Isn't it an idyllic spot in Delhi to spend time with your family and make your weekends memorable? If yes, then what are you waiting for? Plan a trip to Sanjay Lake as soon as possible.